Why is brain health so important? Are Omega 3 and protein the way forward for taking care of the brain? The heart may be at the centre of the body but the brain is where all the action happens! Amongst many other things, our brains control our emotions, help us to understand language and keep the rest of our body functioning. With so much of who we are and what we do depending on the brain, its importance is immediately clear – and keeping it healthy is essential! Taking care of your brain isn’t just about solving puzzles and eating well; every part of a comprehensive self-care routine contributes to a strong, healthy brain that will keep you focused and moving. There are several ways that the brain can become damaged. Physical damage can be the most disruptive, however, poor mental health and constant stress can cause your brain plenty of distress, too. 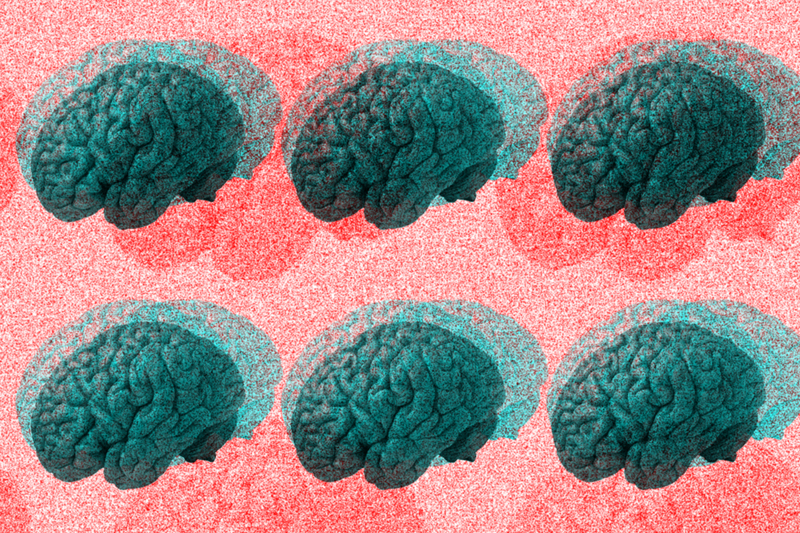 What Can Happen if You Don’t Take Care of Your Brain? As we grow older, the brain takes on certain changes that can affect the sharpness of our minds and our memory. This decline in function can be greatly accelerated if we don’t take care of our brains, and should these abilities reach rock-bottom, MCI (Mild Cognitive Impairment) may affect the brain. While MCI is not considered to be a symptom or indication of developing Alzheimer’s, a disease that drastically affects the brain, it can lead to the disease later in life. By taking care of your brain earlier on in life you can reduce the chances of MCI developing in the future. Here are some tips to ensure you can keep your brain in good condition and working sharp even as you age. Mental health and physical aspects of our self share the same importance and when you suffer from mental health problems, the world can be a challenging place. While diagnosed issues should be dealt with by medical professionals, it’s important for everyone to practice positive mental health. Just a few ways in which you can start practising positive mental health include lifting yourself up and focusing on self-achievement rather than mistakes, supporting the people around you, and looking for ways to better yourself through self-development and exploration of topics that interest and amaze you. Here is a fantastic TEDTalk video on practising good mental health and why it’s important – the video runs for less than 20 minutes and is well worth a watch! Stress can have devastating effects on the brain, potentially leading to anxiety and depression if stress levels remain unchecked. A fantastic way to ease yourself from stress is to practice self-reflection and meditation. It doesn’t need to be in paid classes or involve costly meditation tapes; instead, you can begin meditating by simply practising breathing exercises in a private, quiet space like a bedroom or spare room. There are plenty of recommendations for creating a relaxing space, including decluttering, decorating with cooling, soft colours, ensuring you have plenty of natural light and including things to help you concentrate. You could use a water feature so you can hear the sound of running water, play relaxing music or play recordings from natural settings like forests and beaches. Brain-food is a popular term used to describe dishes and ingredients that are said to have brain-boosting properties. Some of the most popular brain-foods include tomatoes, broccoli, eggs, chicken and fish, and there are also plenty of green teas available that offer positive brain benefits. A balanced diet is important to brain health as well as physical health and studies have shown that a Mediterranean diet could be the secret to keeping your brain young. A lazy brain is an unhealthy brain and an active brain has less time to focus on negatives, helping to keep you positive and clear-minded. Stimulate your brain with enjoyable challenges, whether this is video games, word puzzles, jigsaw puzzles, board games or learning a new skill. You should choose an activity that doesn’t cause you to become overly stressed, although a little frustration isn’t harmful and you’ll get a fantastic boost of positive feelings when you accomplish something challenging. Don’t forget to step out of your comfort zone either – you never know when you will find something new to fall in love with and make into a long-term hobby. Exercise – healthy for your heart, brilliant for your body and magnificent for your mind! There’s no excuse not to get out and get moving! Avoid overdoing it in the name of overall health, instead building up a gentle routine that includes extended walks, speed walking around scenic areas, energy-boosting stretches and muscle building activities. As you start to feel healthier in yourself you can increase your routine, creating a healthy lifestyle that looks after your mind and body. As you develop your routine, try to vary the places where you carry out your exercises. This way, your brain continues to be stimulated through scenery and surroundings rather than becoming bored with the same four walls. Balance and variation is key to a happy brain! Being social is another necessary component of a healthy mind and something that can often get neglected when work and chores begin to pile up. Make sure to carve out some dedicated social time every week to spend focused on loved ones. You could also start up a group chat with others that you can regularly add to and use to keep in touch with people, even when you are far away. Networks of trusted friends or family members can be a great way to offer support, providing positive feelings when you are able to assist and offer emotional support. So, Let’s Start Benefiting Your Brain Today! Your brain is one of the most important organs you have and it relies on you to look after it! Do your best to practice regular self-care and maintain a healthy lifestyle with plenty of interesting stimulation and physical activity. You’ll be thankful for the actions you take now when you keep your sharp wits long into old age! Live healthily and be happy!